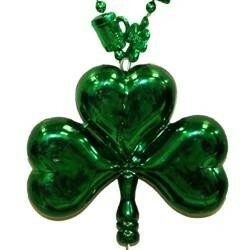 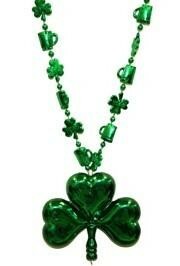 4" Green blow mold shamrock (clover) medallion on 33" shamrock and beer mug necklace. 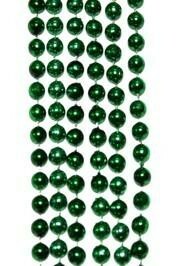 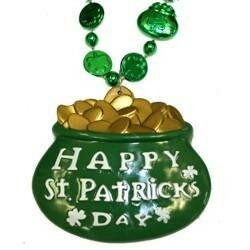 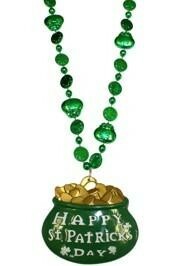 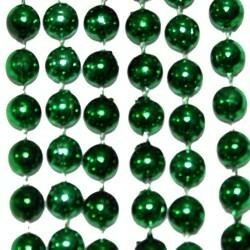 Great for St. Patrick"s Day celebration. 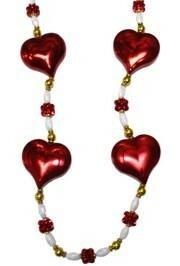 Our Red Hearts Necklace is one of the prettiest at 42" long. 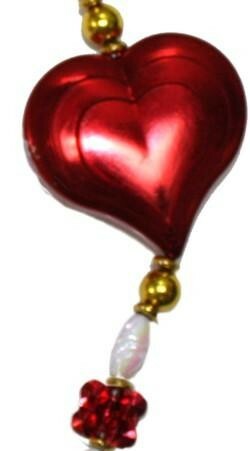 There are 4 red heart medallions separated by white beads, gold beads, and red cluster Beads. 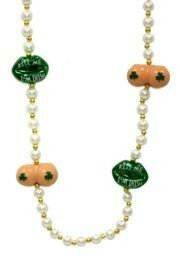 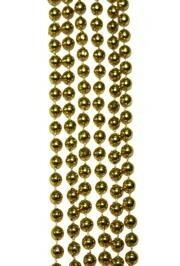 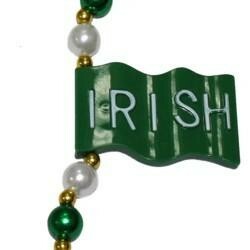 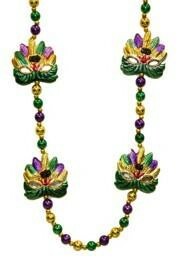 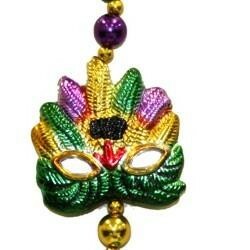 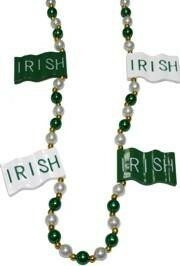 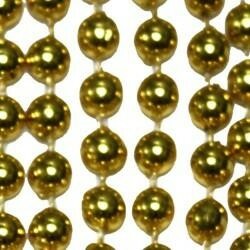 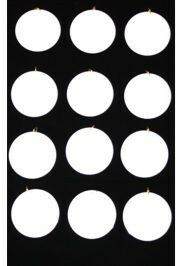 A must have item for Mardi Gras throws or Valentines gifts.